Found this little orange jumping spider on a carpet in my last home. It was very small, but thanks to macro photography I got a good look at it. I am thinking it is a Phidippus Otiosus. 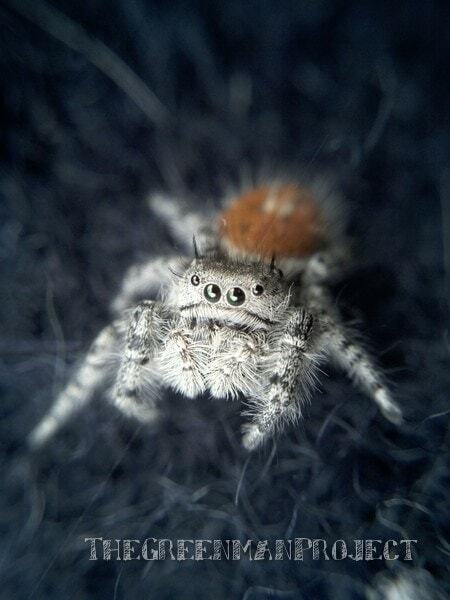 They are called jumping spiders because they do not trap their prey on webs, instead they jump on them.